Como posso Alongar o músculo, sem prejudicar o nervo? O Alongamento é uma ferramenta importante para a saúde do músculo. Porém, o alongamento prolongado pode danificar o nervo, agravando casos neurais como a Ciatalgia. (Butler D. S.- Mobilização do Sistema Nervoso – Manole; 2003.) vide Pesquisa - Efeito do Alongamento no Nervo. Baseado nisso, qual é o tempo ideal para alongarmos o músculo sem prejudicar o nervo? Segundo pesquisa internacional, repetições de 30 segundos é tempo suficiente para o ganho de ADM do músculo isquiotibial. Após 30 segundos, não foi apresentado aumento da flexibilidade do isquiotibial . Portanto, esse é o tempo suficiente para alcançar o alongamento do músculo, mantendo o nervo protegido. Frequency and duration of static stretching have not been extensively examided. Additionally, the effect of multiple stretches per day has not been evaluated. The purpose of this study was to determine the optimal time and frequency of static stretching to increase flexibility of the hamstring muscles, as measured by knee extension range of motion (ROM). Ninety-three subjects (61 men, 32 women) ranging in age from 21 to 39 years and who had limited hamstring muscle flexibility were randomly assigned to one of five groups. The four stretching groups stretched 5 days per week for 6 weeks. The fifth group, which served as a control, did not stretch. Data were analyzed with a 5 X 2 (group X test) two-way analysis of variance for repeated measures on one variable (test). Results. The chance in flexibility appeared to be dependent on the duration and frequency of stretching. Further statistical analysis of the data indicated that the groups that stretched had more ROM than did the control group, but no differences were found among the stretching groups. 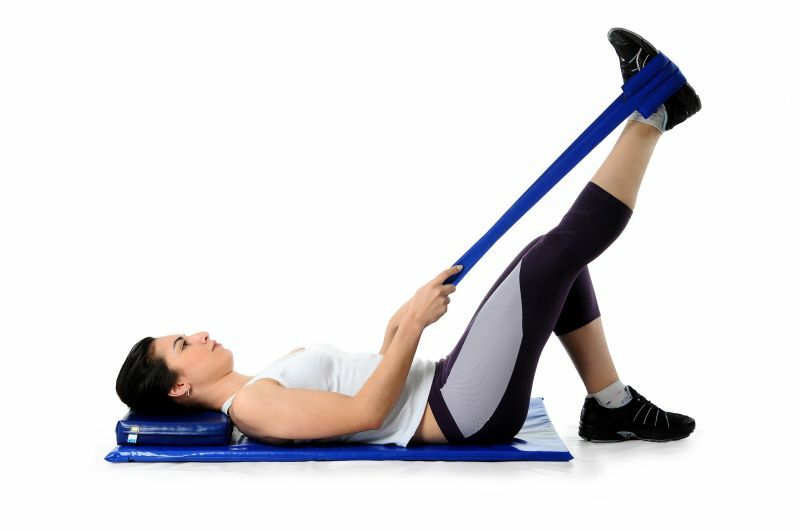 The results of this study suggest that a 30-second duration is an effective amount of time to sustain a hamstring muscle stretch in order to increase ROM. No increase in flexibility occurred when the duration of stretching was increased from 30 to 60 seconds or when the frequency of stretching was increased from one three times per day .